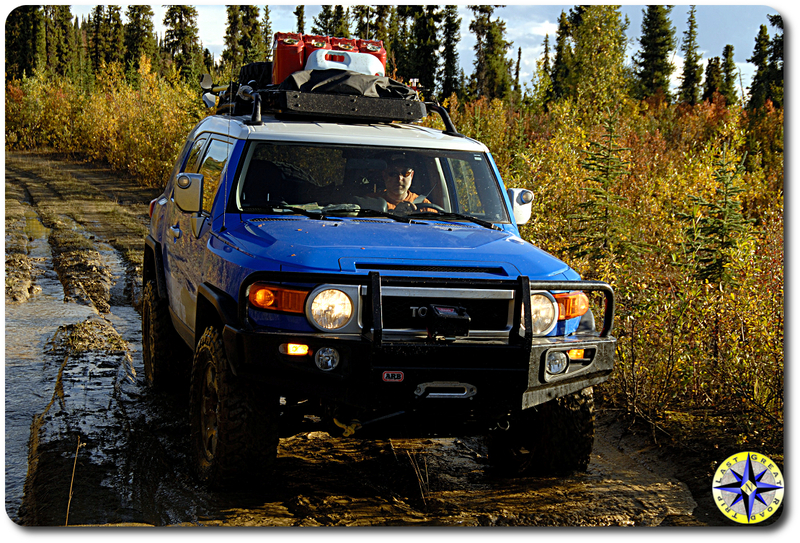 It has been about two years since we first installed ARB’s Bull Bar on our off-road adventure based Toyota FJ Cruiser. In the early days of the FJ Cruiser, our choices of bumpers were limited to only a handful. ARB has been there with their bull bar since the beginning. 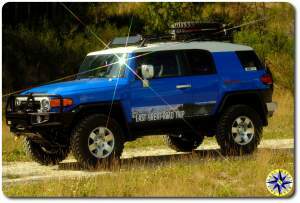 These days FJ Cruiser owners have a wide array of the options when it comes to an aftermarket shell style bumpers but ARB remains as the standard by which others are measured. 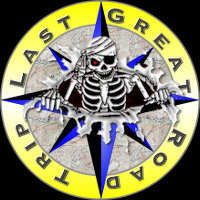 ARB is one of the best known companies for aftermarket 4×4 products. Headquartered out of Australia with it’s North American office in Renton WA., ARB has been building their 4WD products, outback tough for more than three decades. In our case their bumper lived up to its reputation. Originally installed on our Toyota FJ Cruiser to protect the front end during our Arctic Circle off-road adventure where there is always a real chance of colliding with wild life… large wild life. 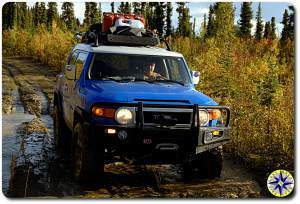 After making the journey north the bumper continued to guarded the front end from trees, rocks and what goes bump in the night on numerous 4×4 trails and back roads across the west. Our overall impression? 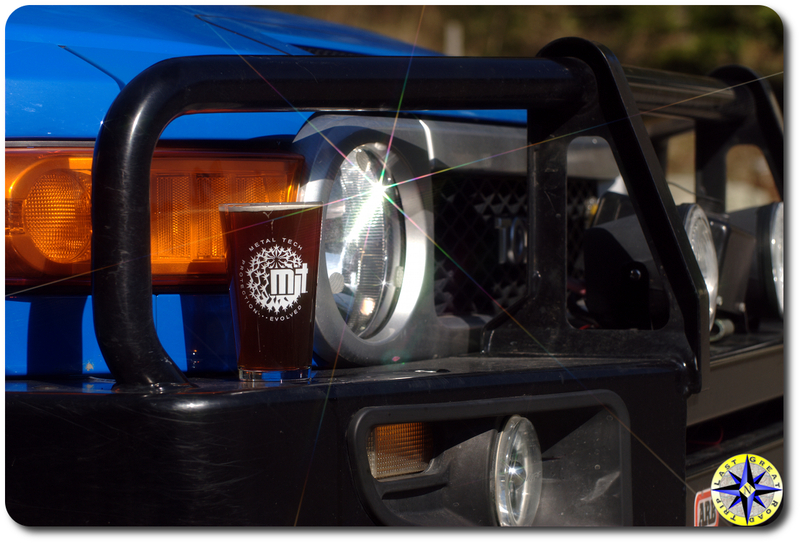 This is a strong, well designed bumper (strong enough to hold your favorite pint glass). Intended for off-road adventures in the Australian Outback, the bumper is built tough, supports a winch and houses built-in IPF fog lights as well as top mounted off-road lights. This is the only after market bumper we know of which has been crash tested. On the down side, like all shell style bumpers, that mass of steel is heavy and its square style pushes a lot of air, contributing to lower mpg. 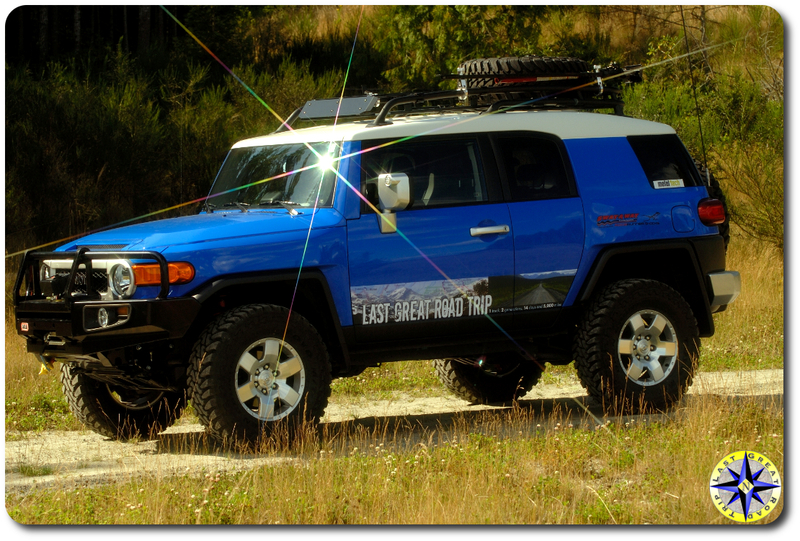 When the rig is flexing over rocks or running fast down washboard back roads, expect a little rub from the bumper on the corners and fender flairs (we found this to be true for us and other ARB equipped FJ Cruisers we looked at). Quality construction, bullet proof design and a reasonable approach angle makes the ARB, in our opinion, the top shell style bumper on the market today. The ARB Bumper provided years of protection and performed well regardless of the terrain. 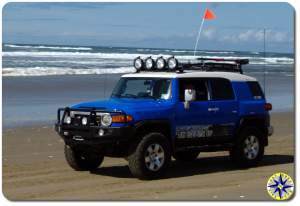 This is a product we can recommend to anyone looking for a shell style expedition bumper.